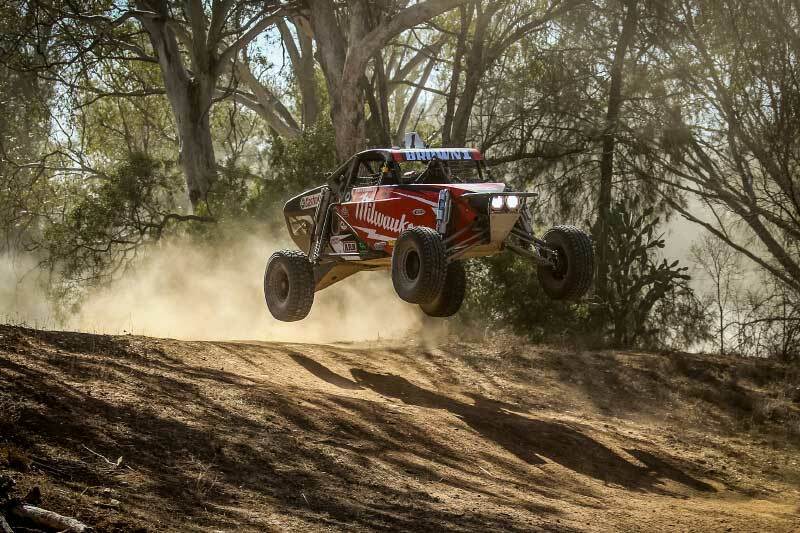 The Albins ARB Goondiwindi 400, or Gundy 400 for short, is an off road race through the farmlands and wilderness of Goondiwindi in the Queensland. 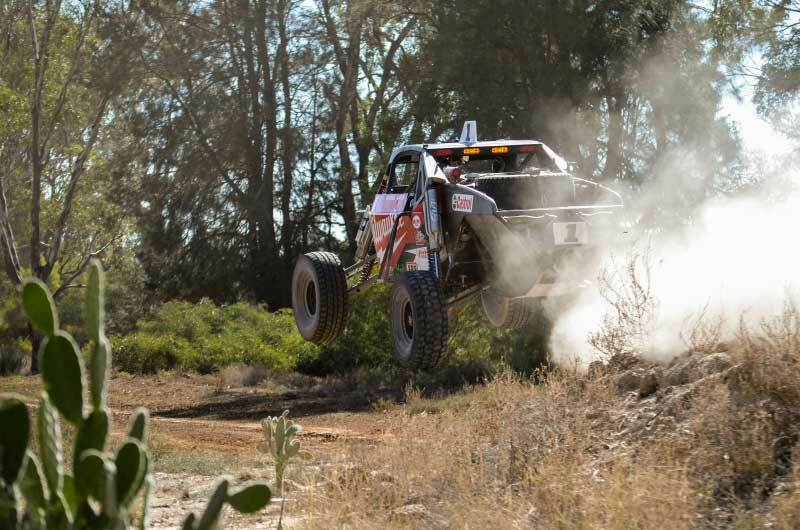 Just four hours west of Brisbane, Goondiwindi is regarded as one of the hardest off road desert races in all of Australia. For this reason, the competition is attracted with all the best racers around giving it everything they can muster to claim victory over their counterparts. 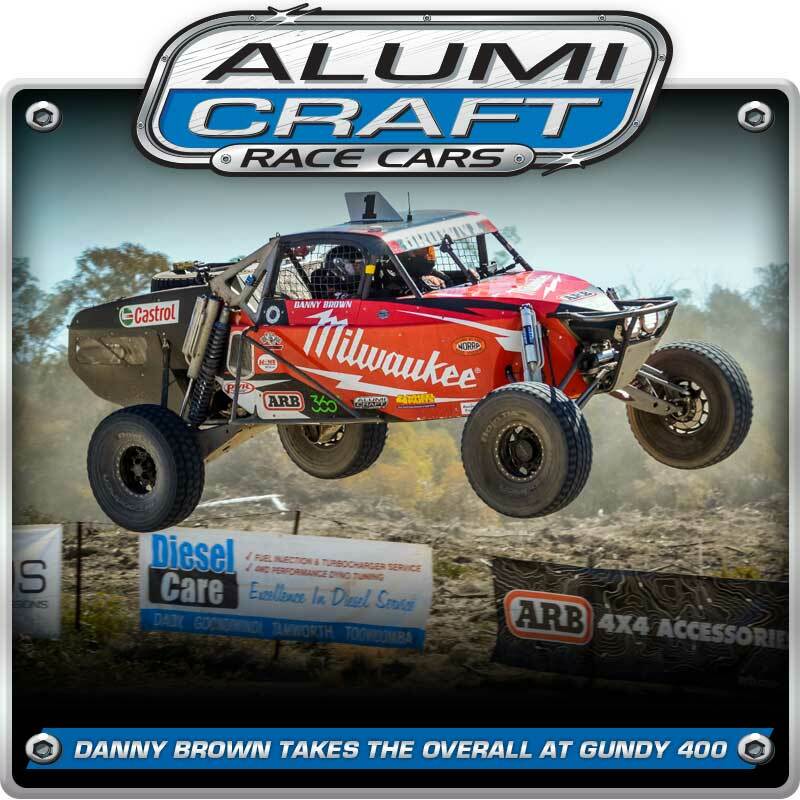 Alumi Craft racer Danny Brown earned the overall win in the Unlimited Class #1 Alumi Craft Pro Buggy last weekend. 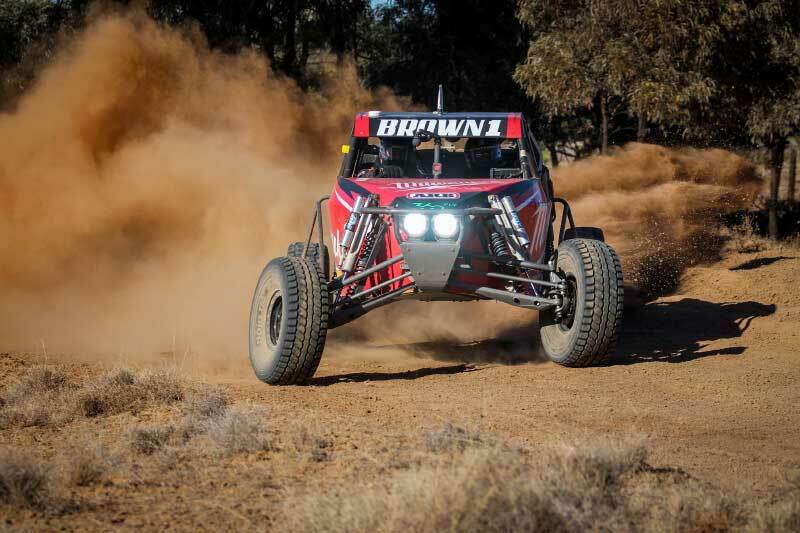 Danny Brown, the reigning ARB Australian Off Road Racing Champion, took on the Albins ARB Goondiwindi 400 in a freshly delivered Alumi Craft race car after competing in the Norra Mexican 1000 in April. There was a total of 74 competitors in this year’s race with 9 featured in the Unlimited class. Danny bested all racers over the five lap 80 Kilometre track with a total time of 4 Hours 27 Minutes and 51.799 Seconds. It appears the Alumi Craft Pro Buggy was good to go right out of the box and was the perfect machine to conquer the difficult and rough course. Danny went on, “We can credit the strength of the Alumi Craft to our win! We were lacking power, so we had to push super hard in the rough. I have raced a trophy truck here before and I pushed this Alumi Craft Unlimited Buggy way harder. It is amazing in the rough and just took a beating. We have a 100% finishing rate on this car, which comes down to the vehicle’s solid design and the meticulous prep carried out by our crew at the shop. Gundy is also known to be a genuine drivers track and very strenuous for any off road racer. You cannot let your guard down for a second. You must know when to be on it and when to be off of it. There are high speed sections and concentration is paramount calculating entry speeds over and through the many obstacles. Breaking concentration can send you home early. It’s the hardest track in the country. All the racers understand and give credit to the winners with much respect. Danny Brown carries a lot of that as he has won the Gundy 400 three times in the last four years and also scored a second place in last year’s event. With this new Alumi Craft, we can expect many more race wins and podium finishes.